If you are not currently a member of Long Island Live Steamers, but you think you might like to join, you can begin by examining some of the information on this page. However, remember that the very best way to investigate the possibilities of membership is to join us out at the railroad and ask questions. But, until our next run day, here’s the scoop. In order to meet the needs of all who would like to join us, there are five classes of membership in the Long Island Live Steamers. Check out our Membership Classes Page for our current membership structure and a link to a Membership Application. While some of our members are prevented by geography or circumstances from working at the track (some members live as far away as Florida and Texas), we encourage ALL members to come out to the park for some fresh air and exercise whenever they can. Members work at the track almost every Sunday year round and on some weekdays and Saturdays as well. Members are especially important to the success of the Run Days and Meet Days. But best of all, we get together to share our interest in the making, maintaining, and operating steam machinery and railroads. All Members receive the monthly newsletter, Smoke Signals. Club Meetings are held several times a year. A club schedule is set for each year and updated in each issue of Smoke Signals. In addition to the Run Days, we hold three Meets a year. 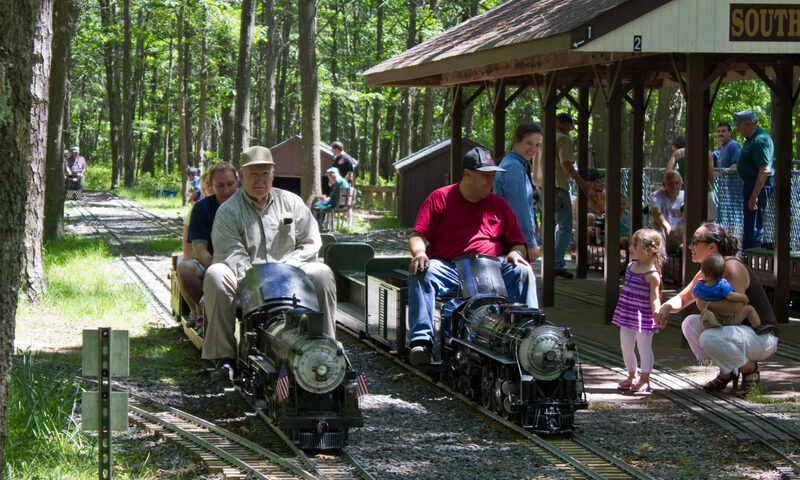 On those weekends, live steamers from Northeast U.S. and Eastern Canada are invited to join us at the track for demonstrations, displays, discussions, and running lots of trains. Other social events are scheduled throughout the year for members only.